At one time, kitchen appliances that were no longer in good working order were taken to a repair shop – and those that no longer matched the decorating scheme of the rest of the room were simply used anyway or given to someone who needed them. Today, many of our small appliances end up in the landfill when they are no longer wanted, which creates a huge environmental problem. 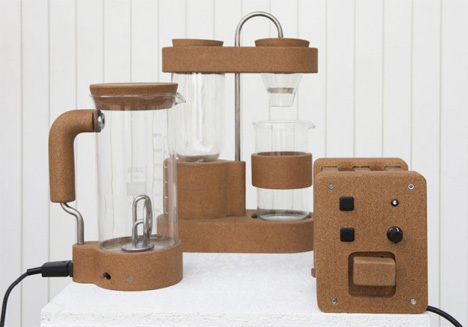 French designer Gaspard Tiné-Berès is using environmentally-friendly cork along with discarded appliances to create a line of sustainable appliances. He calls his project Short Circuit. Tiné-Berès was inspired by Bright Sparks, an initiative of the UK’s Islington Council which seeks to resell or repair appliances rather than send them to a landfill. 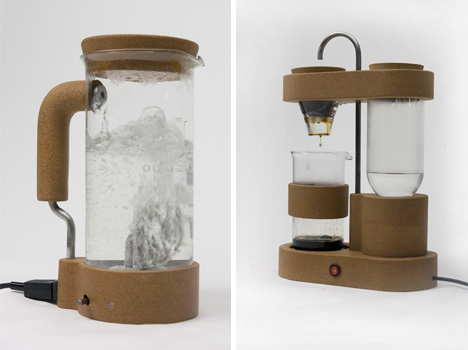 The appliances which are beyond help go to Tiné-Berès, who uses their still-working components to create new objects, along with bodies made of natural cork, factory seconds and reclaimed materials. 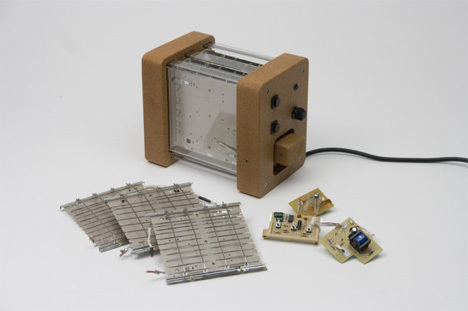 Tiné-Berès proposes to use landfills and appliance dump sites as new sources of perfectly usable electronic components. Even when the cases of such items are destroyed, the interior components are usually still in working order or easily repaired. The initiative could become a viable and successful business model, creating new jobs and new skill sets for workers. Overall, his plan could benefit not only local areas but the entire planet by diverting hazardous electronic waste from landfills. 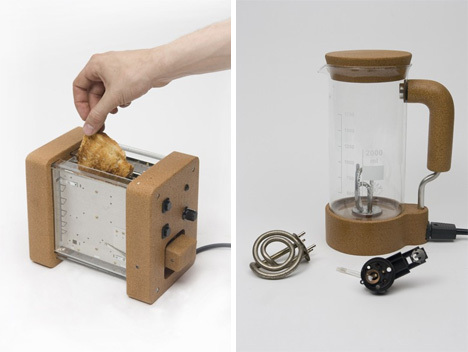 So far, Tiné-Berès has created a coffee maker, an electric kettle and a toaster. He plans to create even more appliances and eventually to offer them for purchase through a business he calls RE-DO Studio. He is working closely with Bright Sparks to move toward their joint goal of sustainable living.